2017 Hair Color Trends: Ideas to Revamp Your Looks! April 5, 2017 0 2017 Hair Color Trends: Ideas to Revamp Your Looks! Blackheads are a common facial nuisance which are present in the form of black dots on the nose, cheeks and chin and almost everyone is quite often a victim of this unwanted situation due to incessant pollution and skin factors. Though small in size; yet they tend to overwhelm the natural appeal of your face and when it comes to a matter of your beauty then there is no compromising with any such menace- especially on the face. Before we proceed to the ways you can treat and get rid of them it is essential to know the reasons and factors that result in their emanation so that preventive skin care measures can help put a wedge into their formation. The paramount reason for the occurrence of blackheads is the clogging of the skin pores with the secreted sebum, dirt, dead skin cells and skin oils. Their accumulation tends to clog up the hair follicles and with the passage of time it hardens up with a long root in the skin and the dirty head being prominent above the skin in the form of black dots which we term as blackheads. Squeezing them out can at times work yet it can be very painful and also result in bleeding or scarring as an aftermath of the attempt. However; you don’t necessarily have to suffer the pain to have relief; rather there are numerous skin care tips that can prove to be quite effective as blackheads treatment. Maintain a clean and healthy condition of your skin with beauty care products like cleansing as blackheads treatment serving as a pre-requite for a beautiful look. Skin cleansers are cosmetically formulated for beauty care by offering numerous skin benefits that can keep the skin clean with their deep reach action that tends to clear away clogged pores and gives a better and clearer look to your face which becomes absolutely blackhead-free. It also tends to curb the intensity of the oil secretion on the face, counters the effects of pollution and sun exposure and keep it dry and fresh. Exfoliation is one of the best blackheads treatment that is one of the simplest ways to keep safe from the rising of blackheads. Exfoliating creams and scrubs with their granule composition tend to scrape off dead skin, dirt and debris; which is a good way to curtail the accumulation of any secretion of pollutant on the face. Honey is a great natural beauty care product which enhances and offers results as a remedy for blackheads too. Massaging it one the affected area tends to pull out the blackheads with its sticky property. A mixture of natural oils and cosmetic clay is another cheap and effective method that is applied as a paste for 15 minutes and is wiped off after massaging with a wet cloth-the difference is at once discernible. 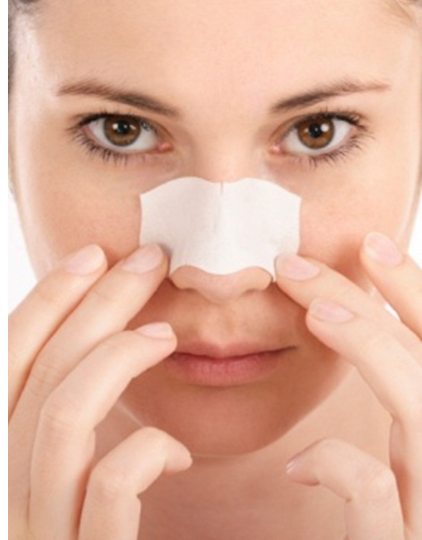 The frequent use of face masks is also a safe and simple way to evade skin conditions that can cause blackheads.